24/7 Flood Damage Service in Colorado Springs. One of the scariest sights for a homeowner in Colorado Springs and beyond can be a flooded basement. The first thought is “How am I going to clean this up? !” Unfortunately, a flooded basement is something that takes special equipments, tools, and expertise. Bee-Kleen of Colorado Springs is a 24/7 certified water restoration specialist by IICRC (Institute of Inspection Cleaning and Restoration Certification). BROKEN WATER PIPE OR LEAKING WATER? 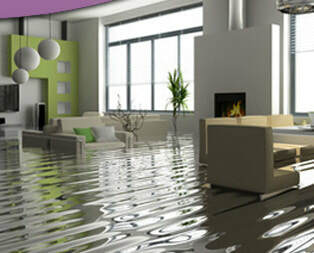 Bee-Kleen offers 24 hour flood damage service in Colorado Springs. Broken pipe or leaking water? Flooded basement? We can come in and remove the water, peel back carpets and padding, extract the water from around a leaky refrigerator or dishwasher, and more. Give Steve a call 24 hours a day 7 days a week and he will be there to help with the flood damage! If it is not handled immediately, mold can begin to grow. Mold is a scary subject to discuss. It can cause serious damage to your home, and even worse, have harmful effects on your families health! Mold growth occurs in damp environments. Whether it is a leak, or a downpour into your home it should be treated the same. To start, what effects can mold growth have? Mold growth can cause chronic sinus problems, nosebleeds, mold induces asthma, skin infections, and neurological problems. Mold can start to form after a leak or flood within 24 to 48 hours! That does not offer much time to fix the issue before a bigger ones such as these arise. What can be expected to get mold removal specialists involved? The amount of your home effected by mold will determine the cost to have it removed. The cost can range from as little as $500 but also as high as $5,000. We recommend to have a few estimates done and to find someone you are confident can take care of the problem! It is important to find someone with expertise in mold removal and a proven track record of success. 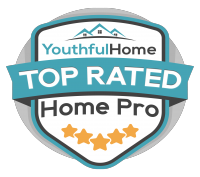 The best way to take care of mold is to make sure it does not form in the first place! Since we know it forms in damp environments it is crucial to keep your home as dry as possible. A dehumidifier makes a huge difference in a naturally muggy environment such as your basement or attic. Unfortunately it is hard to control a busted pipe or storm that can cause flooding. What you can do is handle the problem right when it occurs.